What does it mean to be a barren Jewish woman, unable to fulfill the mitzvah of bearing children? How can faith and connection to Jewish history and tradition underpin the process of healing from trauma? In Israel, where public worship is controlled by the ultra-Orthadox, what does it mean to be a Conservative Jewish woman? 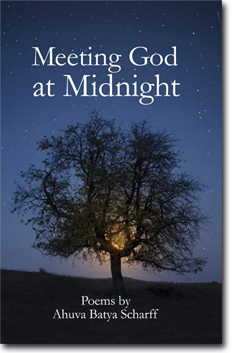 Meeting God at Midnight explores both the challenges of Judaism and its ability to act as a lifeline and transformative faith. There is hardly a family in the post-industrial world that hasn’t been affected in some way by addiction. Yet seeking treatment for a struggling loved one is, for most people, a frightening and overwhelming prospect. Ending Addiction for Good offers a powerful message of hope. Drawing on their own histories of addiction recovery, authors Taite and Scharff, examine the unique and highly successful treatment protocol practiced at the Cliffside Malibu Addiction Treatment Center. Using clear and direct language, they look beyond the limits of conventional treatment to show how creating an individualized, evidence based, and integrated approach that targets the whole person – mind, body, and spirit – not just the addiction, can provide a sure path to recovery. In doing so, they empower both the addict and the families of addicts to begin their recovery. 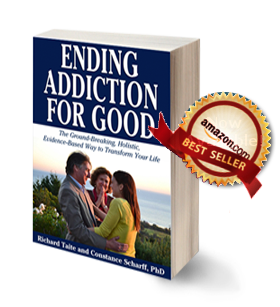 Ending Addiction for Good may well be the most important book dealing with alcoholism and drug addiction to come along in years.